At YWCA, we know that when one person is uplifted, they uplift others. We see it in the women who walk through our doors looking for help, and graduate YWCA’s programs ready to help others. In the people and organizations who donate their time, treasure, and talents to building a stronger community for all people. As well as the dedicated staff who work every day to achieve our mission. Together, we are creating real change, and moving our mission forward. This momentum will propel us into the future, as our community works to find solutions to the challenges of poverty, homelessness, health, and safety. We will continue to examine how race and gender impact all of these areas, and work to eliminate disparities for women and girls of color. Thank you for supporting YWCA’s mission to eliminate racism, empower women, and create a thriving community for all people. We deeply appreciate all of the dedicated partners like you who are taking action, making change, and moving forward toward a brighter future. Onward! YWCA Seattle | King | Snohomish serves more than 12,000 women, men, and children annually. 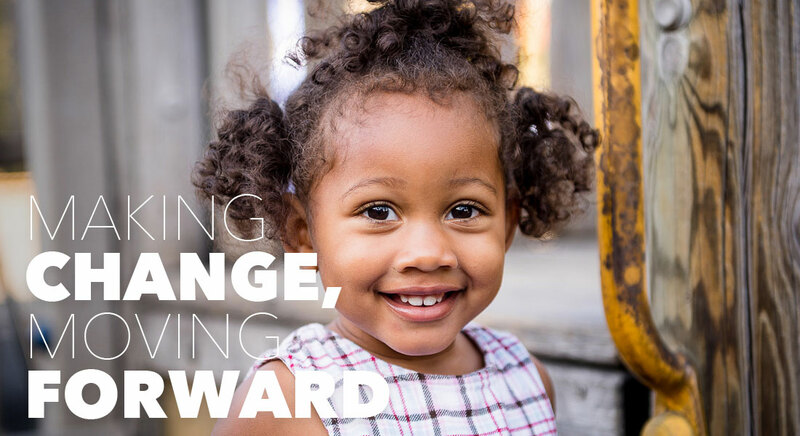 With 20+ locations across two counties, YWCA works where we’re needed most to eliminate disparities in housing, economic advancement, health, and safety. This work is done through a combination of direct services to meet immediate needs of our community, and advocacy for policies that will create lasting and widespread change. YWCA programs are focused on people who face the greatest barriers to safety, stability, and opportunity. Below is a snapshot of who we served in 2017. The populations served by YWCA reflect disparities in the community, where a disproportionate number of women and families of color live in poverty and experience homelessness. This is why we work to address the root causes of inequity and create a thriving community for all people. TeShauna (center) with daughters Sabreeyah and RoShauna outside YWCA Willows. TeShauna, like most mothers, is a woman who can get things done. Her priority is family, and she’s spent 23 years raising five kids and doing everything to protect, support, and empower them. Project Self-Sufficiency is a program at YWCA Willows that serves low-income families experiencing homelessness in King County; 71% of participants are women and children of color. 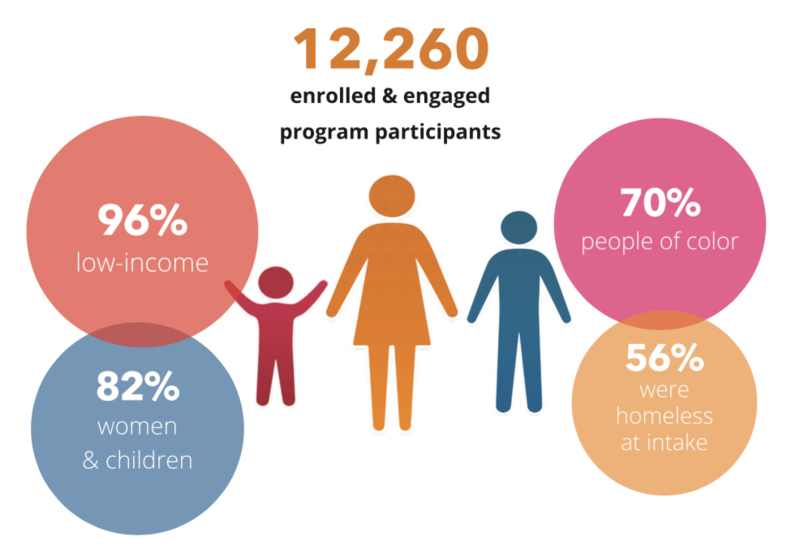 Participants are connected with essential services, from child care to job training. They also work one-on-one with a case manager to create a self-sufficiency plan that will increase stability for their family. “YWCA helped us in so many ways beyond housing,” said TeShauna. “My case manager Essie kept me grounded because she always listened. She gave me confidence in my own success.” Getting connected to essential services also made a big difference for TeShauna, especially transportation assistance and mental health counseling. TeShauna achieved her goals and her family recently moved into their own apartment in Wallingford. 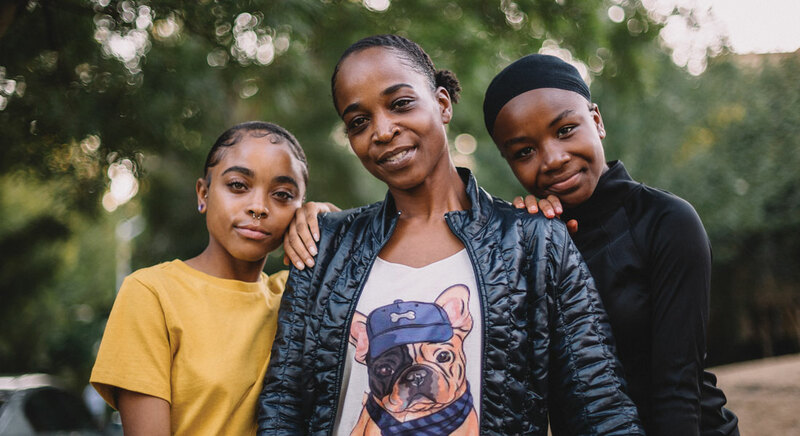 Her children will have stability and security as they complete high school, and her whole family will have a safe place to create plans for their future. 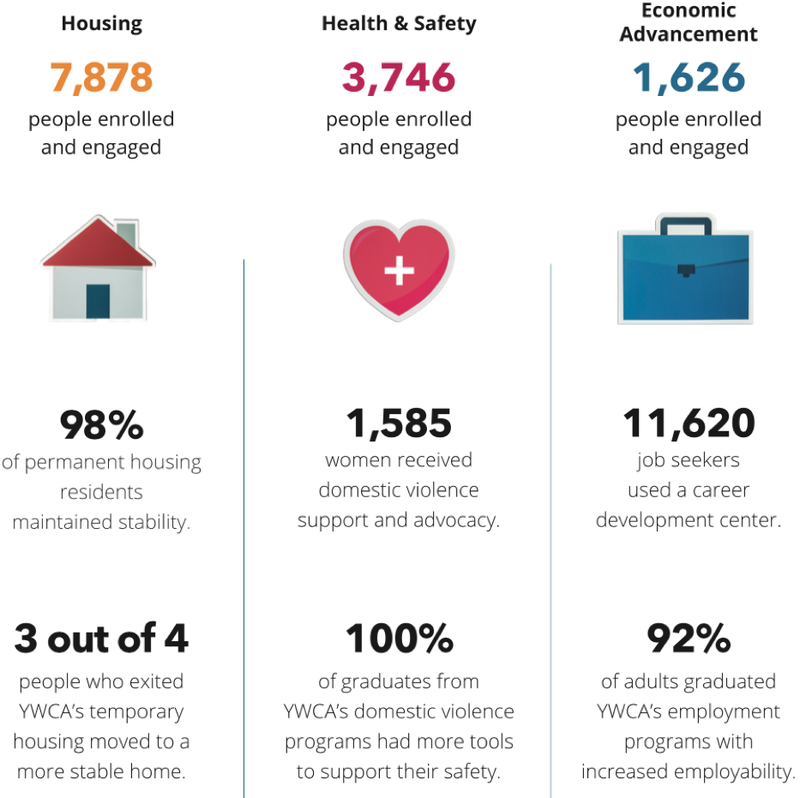 Programs across all of YWCA’s focus areas had a real impact on the community in 2017. YWCA direct services are focused on housing stability, economic advancement, health, and safety. This holistic approach means many participants receive wrap-around services that meet their unique needs. Thanks to our partners, we are making change and moving forward. We’re truly grateful for all of those who support YWCA’s mission, including the list of individuals, corporations, foundations, and public funders that made contributions of $5,000 and above in 2017. Your partnership and generosity make a huge impact on the lives of women and families in our community. To view the list of contributors, please click on the plus sign above. While we strive to ensure this list is accurate, please contact our Chief Philanthropy Officer, Migee Han, at mhan@ywcaworks.org or 206.490.4399 if you notice any error or omission. These graphs do not reflect depreciation, other non-cash transactions, endowment gifts, or revenue and expenses from major capital projects. Visit our financials page for our most recent audit and IRS Form 990. YWCA would like to express our deepest gratitude and recognize our board of directors dedicated to making change and moving forward.